Today's volatile economic climate has many life science companies thinking differently about cost containment within all operations. The key for executives is choosing the initiatives that will have the greatest impact on an organization's bottom line. One of these critical areas for cost containment is training management. Companies of all sizes, from global conglomerates to small and mid-sized companies, have embraced cloud-based training to achieve compliance, while reducing major costs related to administration and IT support. Learning systems delivered through the Cloud have been shown to help organizations "centralize" compliance learning programs for not only employees, but suppliers, sales agents, clinical sites, customers, and other third parties. 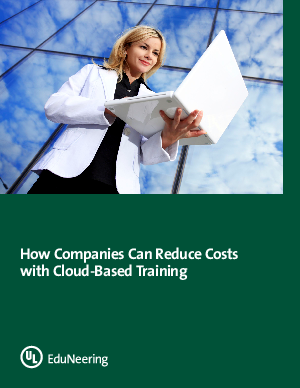 This singular approach provides tremendous cost savings that are inherent in the cloud computing model, while also removing training management redundancies. In this paper, we have outlined 10 value drivers that affect Return on Investment (ROI) for employee training management among life science companies, and how they can be achieved through cloud-based training management. Most of these drivers revolve around efficiencies that ensure that all employees, but especially quality teams, remain productive on their core roles, while also reducing costs in many areas including, travel, administrative, documentation storage, reporting, et al.